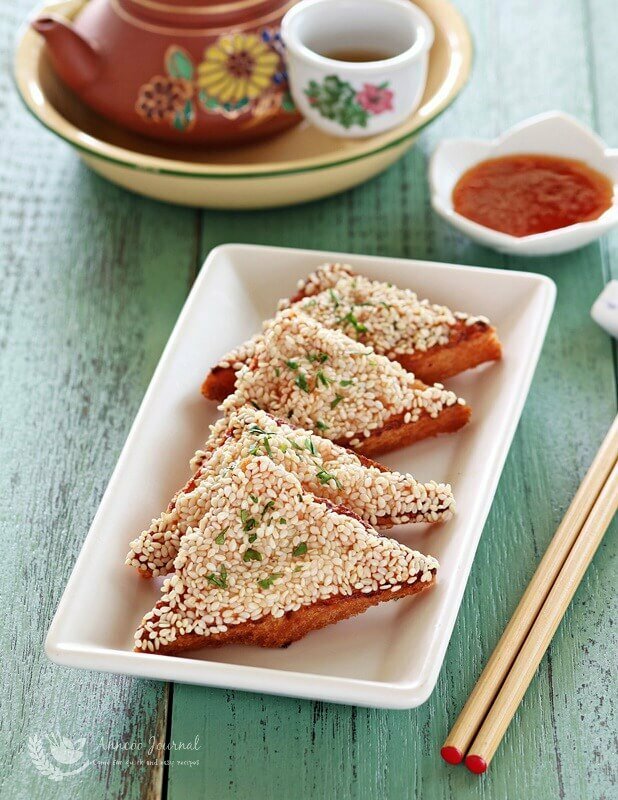 Prawn Toast is also one of the popular dim sum items in Chinese restaurant especially in Hong Kong. It is delicious and tasty. 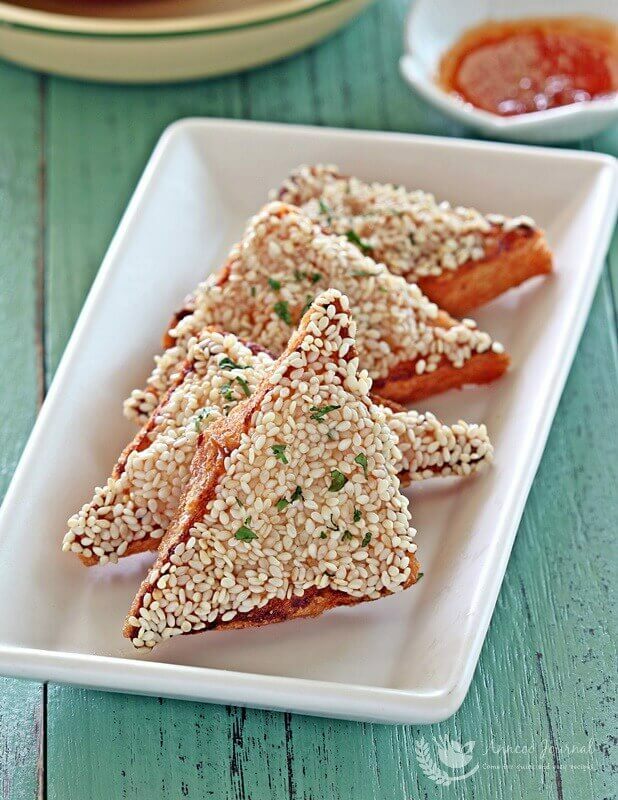 Its can be easily make at home to serve as a finger food for a party or at any other occasions. 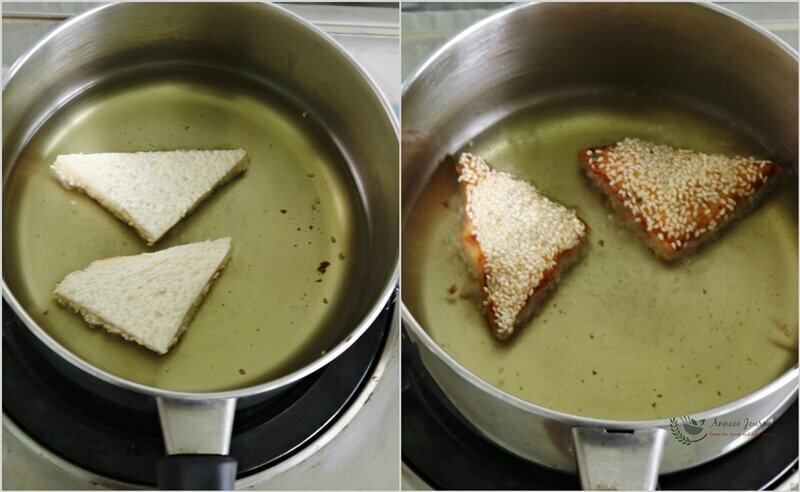 Usually it is a bread base shaped into a triangle with a spread of prawn paste mix and water chestnuts, coated with white sesame seeds on top. Then shallow fry for a few minutes and serve with chilli sauce. 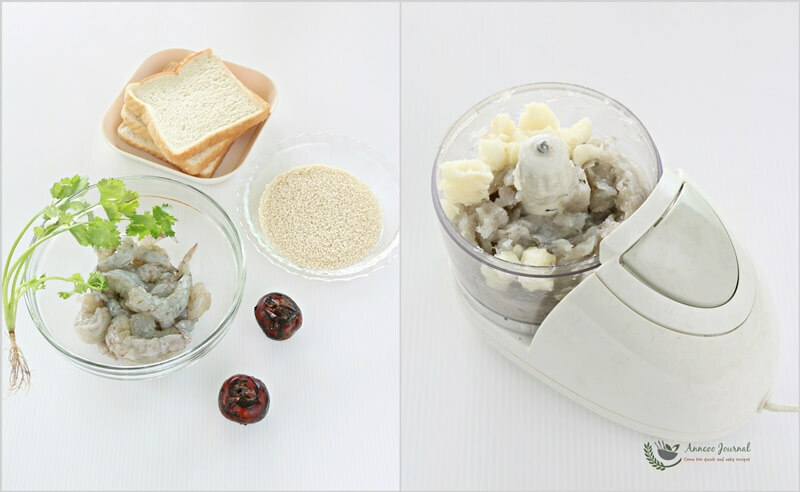 Roughly cut prawns into pieces and place into food processor and blend well. Add chopped water chestnuts and blend well to paste. Transfer prawn paste into a bowl. Add seasoning and mix well, followed by the corander leaves, mix well again. 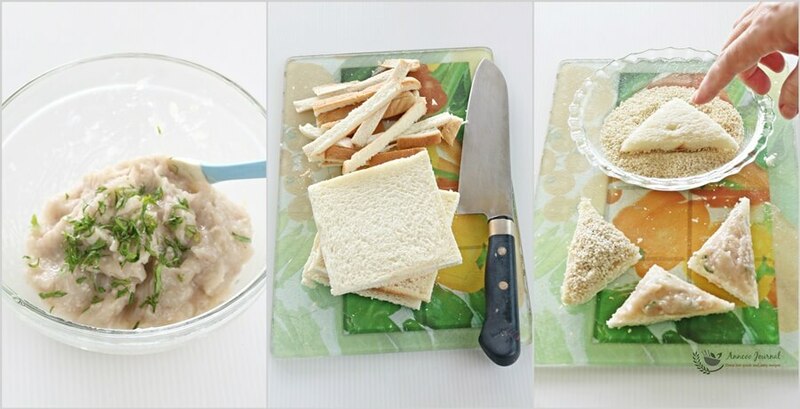 Spread about 1.5 tablespoons of prawn paste over slices of bread. 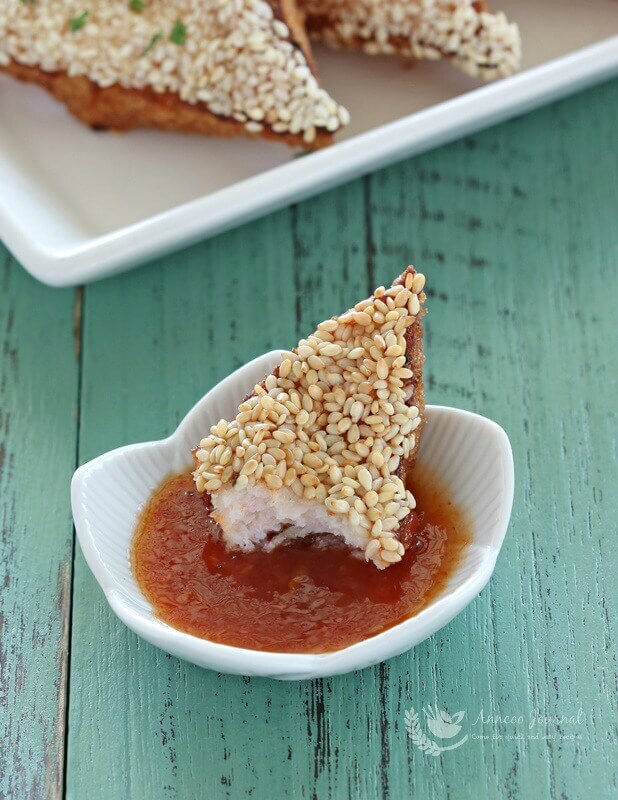 Then dip bread (prawn paste side down) and coat with sesame seeds. Heat up some oil over medium low heat and shallow fry the toasts, starting with the prawn paste side down till golden and crisp for about 1 minutes on each side. Haven’t had this in ages! I used to have them weekly…so delicious and addictive!